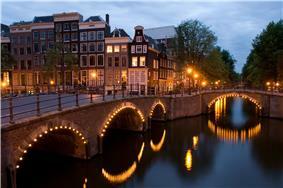 Amsterdam (English or ; Dutch: ) is the capital city and most populous city of the Kingdom of the Netherlands. Its status as the Dutch capital is mandated by the Constitution of the Netherlands though it is not the seat of the Dutch government, which is The Hague. Amsterdam has a population of 831,279 within the city proper, 1,326,384 in the urban area and 1,599,737 in the metropolitan area. The city region has an approximate population of 2,431,000. The city is located in the province of North Holland in the west of the country, and is also North Holland's largest city. It comprises much of the northern part of the Randstad, one of the larger conurbations in Europe, with a population of approximately 7 million. As the commercial capital of the Netherlands and one of the top financial centres in Europe, Amsterdam is considered an alpha world city by the Globalization and World Cities (GaWC) study group. 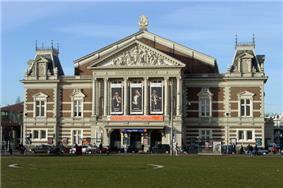 The city is also the cultural capital of the Netherlands. Many large Dutch institutions have their headquarters there, and seven of the world's 500 largest companies, including Philips and ING, are based in the city. In 2012, Amsterdam was ranked the second best city in which to live by the Economist Intelligence Unit (EIU) and 12th globally on quality of living for environment and infrastructure by Mercer . The city was previously ranked 3rd in innovation by 2thinknow in the Innovation Cities Index 2009. Famous Amsterdam residents included Anne Frank the diarist, the artist Vincent van Gogh and the philosopher Baruch Spinoza. The Amsterdam Stock Exchange, the oldest stock exchange in the world, is located in the city center. Amsterdam's main attractions, including its historic canals, the Rijksmuseum, the Van Gogh Museum, Stedelijk Museum, Hermitage Amsterdam, Anne Frank House, Amsterdam Museum, its red-light district, and its many cannabis coffee shops draw more than 5 million international visitors annually. After the floods of 1170 and 1173 locals of the river Amstel vicinity built a bridge over- and a dam across the river, hence giving its name to the village: "Aemstelredamme". The earliest recorded use of the name "Aemstelredamme" (Amsterdam) comes from a document dated 27 October 1275. Inhabitants of the village, by this document, were exempted from paying a bridge toll in the County of Holland by Count Floris V.  This meant it had been allowed for the inhabitants of the village of Aemstelredamme to travel freely through the County of Holland without having to pay toll at bridges, locks and dams all throughout the county. The certificate describes the inhabitants as homines manentes apud Amestelledamme (people living near Amestelledamme). By 1327, the name had developed into Aemsterdam. 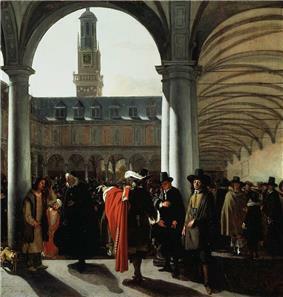 Courtyard of the Amsterdam Stock Exchange by Emanuel de Witte, 1653. 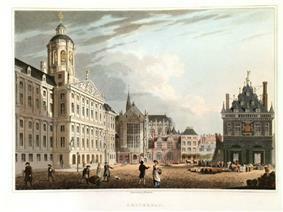 The Amsterdam Stock Exchange was the first stock exchange to introduce continuous trade in the early 17th century. 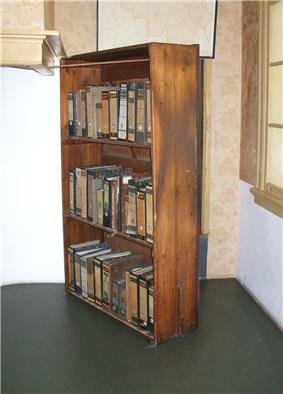 The reconstructed bookcase that covers the entrance to the "Secret Annex" where Anne Frank hid from Germans occupying Amsterdam during World War II. After landflood in 1916 the depleted municipalities, Durgerdam, Holysloot, Zunderdorp and Schellingwoude, all lying north of Amsterdam, were, on their own request, annexed to the city on 1 January 1921. Germany invaded the Netherlands on 10 May 1940 and took control of the country. Some Amsterdam citizens sheltered Jews, thereby exposing themselves and their families to the high risk of being imprisoned or sent to concentration camps. More than 100,000 Dutch Jews were deported to Nazi concentration camps of which some 60,000 lived in Amsterdam. Perhaps the most famous deportee was the young Jewish girl Anne Frank, who died in the Bergen-Belsen concentration camp. At the end of the Second World War, communication with the rest of the country broke down, and food and fuel became scarce. Many citizens travelled to the countryside to forage. Dogs, cats, raw sugar beets, and Tulip bulbs—cooked to a pulp—were consumed to stay alive. Most of the trees in Amsterdam were cut down for fuel, and all the wood was taken from the apartments of deported Jews. 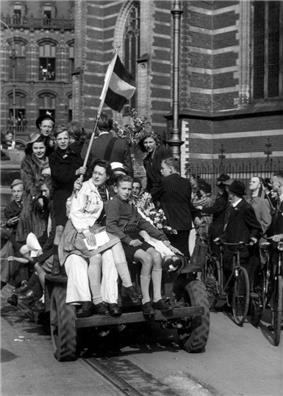 People celebrating the liberation of Holland at the end of World War II on 8 May 1945. At the beginning of the new millennium, social problems such as safety, ethnic discrimination and segregation between religious and social groups began to develop. Forty-five percent of the population of Amsterdam has non-Dutch parents. Large social groups come from Suriname, the Dutch Antilles, Morocco and Turkey. Amsterdam is characterised by its (perceived) social tolerance and diversity. The former mayor of Amsterdam, Job Cohen, and his alderman for integration Ahmed Aboutaleb (Now mayor of Rotterdam) formulated a policy of "keeping things together" which involves social dialogue, tolerance and harsh measures against those who break the law. 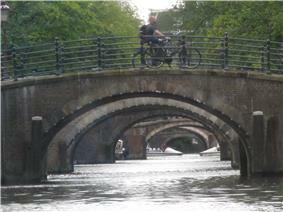 Amsterdam is home to more than one hundred kilometers of canals, most of which are navigable by boat. The three main canals are Prinsengracht, Herengracht and Keizersgracht. In the Middle Ages, Amsterdam was surrounded by a moat, called the Singel, which now forms the innermost ring in the city, and makes the city centre a horseshoe shape. The city is also served by a seaport. It has been compared with Venice, due to its division into approximately 90 islands, which are linked by more than 1,200 bridges. Amsterdam has an oceanic climate (Köppen climate classification Cfb), strongly influenced by its proximity to the North Sea to the west, with prevailing westerly winds. Both winters and summers are considered mild, although occasionally quite cool. 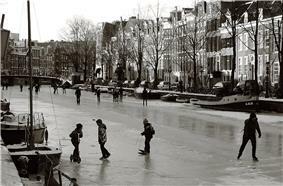 Amsterdam, as well as most of the North Holland province, lies in USDA Hardiness zone 8b. Frosts mainly occur during spells of easterly or northeasterly winds from the inner European continent. Even then, because Amsterdam is surrounded on three sides by large bodies of water, as well as having a significant heat-island effect, nights rarely fall below −5 °C (23 °F), while it could easily be −12 °C (10 °F) in Hilversum, 25 kilometres (16 miles) southeast. Summers are moderately warm but rarely hot. The average daily high in August is 22.1 °C (71.8 °F), and 30 °C (86 °F) or higher is only measured on average on 2.5 days, placing Amsterdam in AHS Heat Zone 2. The record extremes range from −24 °C (−11 °F) to 36.8 °C (98.2 °F). Days with more than 1 millimetre (0.04 in) of precipitation are common, on average 133 days per year. Amsterdam's average annual precipitation is 838 millimetres (33 in), more than what is measured at Amsterdam Schiphol Airport. A large part of this precipitation falls as light rain or brief showers. Cloudy and damp days are common during the cooler months of October through March. Amsterdam has a population of 813,562 inhabitants within city limits. As of 2012, the ethnic makeup of Amsterdam was 49.5% of Dutch ancestry and 50.5% of foreign origin. In the 16th and 17th century non-Dutch immigrants to Amsterdam were mostly Huguenots, Flemings, Sephardi Jews and Westphalians. Huguenots came after the Edict of Fontainebleau in 1685, while the Flemish Protestants came during the Eighty Years' War. 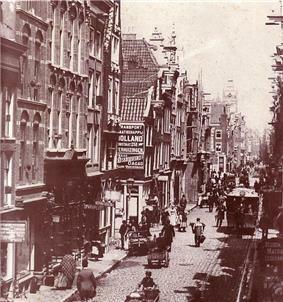 The Westphalians came to Amsterdam mostly for economic reasons – their influx continued through the 18th and 19th centuries. Before the Second World War, 10% of the city population was Jewish. Just twenty percent of them survived the Shoah. The first mass immigration in the 20th century were by people from Indonesia, who came to Amsterdam after the independence of the Dutch East Indies in the 1940s and 1950s. In the 1960s guest workers from Turkey, Morocco, Italy and Spain emigrated to Amsterdam. After the independence of Suriname in 1975, a large wave of Surinamese settled in Amsterdam, mostly in the Bijlmer area. Other immigrants, including refugees asylum seekers and illegal immigrants, came from Europe, America, Asia, and Africa. In the 1970s and 1980s, many 'old' Amsterdammers moved to 'new' cities like Almere and Purmerend, prompted by the third planological bill of the Dutch government. This bill promoted suburbanisation and arranged for new developments in so-called "groeikernen", literally cores of growth. Young professionals and artists moved into neighbourhoods de Pijp and the Jordaan abandoned by these Amsterdammers. The non-Western immigrants settled mostly in the social housing projects in Amsterdam-West and the Bijlmer. Today, people of non-Western origin make up approximately one-third of the population of Amsterdam, and more than 50% of the city' s children. Segregation along ethnic lines is clearly visible, with people of non-Western origin, considered a separate group by Statistics Netherlands, concentrating in specific neighbourhoods especially in Nieuw-West, Zeeburg, Bijlmer and in certain areas of Amsterdam-Noord. The largest religious group are Christians (27% in 2000),. The next largest religion is Islam (14% in 2000), most of whose followers are Sunni. As they became established in the city, other Christian denominations used converted Catholic chapels to conduct their own services. The oldest English-language church congregation in the world outside the United Kingdom is found at the Begijnhof. Regular services there are still offered in English under the auspices of the Church of Scotland. The Huguenots accounted for nearly 20% of Amsterdam's inhabitants in 1700. Being Calvinists, they soon integrated into the Dutch Reformed Church, though often retaining their own congregations. Some, commonly referred by the moniker 'Walloon', are recognisable today as they offer occasional services in French. Despite an absence of an official Jewish ghetto, most Jews preferred to live in the eastern part of the old medieval heart of the city. The main street of this Jewish neighbourhood was the Jodenbreestraat. The neighbourhood comprised the Waterlooplein and the Nieuwmarkt. Buildings in this neighbourhood fell into disrepair after the Second World War, and a large section of the neighbourhood was demolished during the construction of the subway. This led to riots, and as a result the original plans for large-scale reconstruction were abandoned and the neighbourhood was rebuilt with smaller-scale residence buildings on the basis of its original layout. 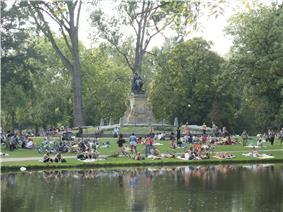 The Vondelpark is the largest park in Amsterdam. 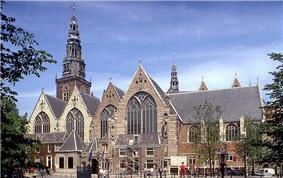 Catholic churches in Amsterdam have been constructed since the restoration of the episcopal hierarchy in 1853. One of the principal architects behind the city's Catholic churches, Cuypers, was also responsible for the Amsterdam Central Station and the Rijksmuseum, which led to a refusal of Protestant King William III to open 'that monastery'. In 1924, the Roman Catholic Church of the Netherlands hosted the International Eucharistic Congress in Amsterdam, and numerous Catholic prelates visited the city, where festivities were held in churches and stadiums. Catholic processions on the public streets, however, were still forbidden under law at the time. Only in the 20th century was Amsterdam's relation to Catholicism normalised, but despite its far larger population size, the Catholic clergy chose to place its episcopal see of the city in the nearby provincial town of Haarlem. In recent times, religious demographics in Amsterdam have been changed by large-scale immigration from former colonies. Immigrants from Suriname have introduced Evangelical Protestantism and Lutheranism, from the Hernhutter variety; Hinduism has been introduced mainly from Suriname; and several distinct branches of Islam have been brought from various parts of the world. Islam is now the largest non-Christian religion in Amsterdam. The large community of Ghanaian and Nigerian immigrants have established African churches, often in parking garages in the Bijlmer area, where many have settled. In addition, a broad array of other religious movements have established congregations, including Buddhism, Confucianism and Hinduism. Jewish make up about 2% of the city total population. Although the saying "Leef en laat leven" or "Live and let live" summarises the Dutch and especially the Amsterdam open and tolerant society, the increased influx of many races, religions, and cultures after the Second World War, has on a number of occasions strained social relations . With 176 different nationalities, Amsterdam is home to one of the widest varieties of nationalities of any city in the world. The proportion of the population of immigrant origin in the city proper is about 50%  and 88% of the population are Dutch citizens. The city has been at times marked by ethnic tension. In 2004 film director Theo van Gogh was murdered by Mohammed Bouyeri in Amsterdam. Among others, in line with attitude changes in Dutch politics towards certain (especially Islamic) minorities Turkish-language and Arabic-language TV channels have been dropped from the basic cable TV package. In recent years, politicians are actively discouraged against campaigning in minority languages. In the previous local elections politicians were criticised by current Amsterdam mayor Mr van der Laan (then minister of Integration) for distributing election leaflets in minority languages and in some cases leaflets were collected. Due to this alleged anti-Multicultural stand, van der Laan has been accused of hypocrisy by his own party's PvdA main candidate. Also during the same period, possibly due to his belief in integration via (possibly not always voluntary) assimilation, Amsterdam has been one of the municipalities in the Netherlands which provided immigrants with extensive and free Dutch-language courses, which have benefited many immigrants. Amsterdam fans out south from the Amsterdam Centraal railway station. The oldest area of the town is known as de Wallen (the quays). 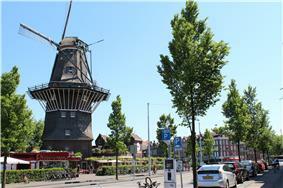 It lies to the east of Damrak and contains the city's famous red light district. To the south of de Wallen is the old Jewish quarter of Waterlooplein. The medieval and colonial age canals of Amsterdam, known as Grachten, embraces the heart of the city where homes have interesting gables. Beyond the Grachtengordel are the former working class areas of Jordaan and de Pijp. The Museumplein with the city's major museums, the Vondelpark, a 19th-century park named after the Dutch writer Joost van den Vondel, and the Plantage neighbourhood, with the zoo, are also located outside the Grachtengordel. Amsterdam has many parks, open spaces, and squares throughout the city. Vondelpark, the largest park in the city, is located in the Oud-Zuid borough and is named after the 17th century Amsterdam author, Joost van den Vondel. Yearly, the park has around 10 million visitors. In the park is an open-air theatre, a playground and several horeca facilities. In the Zuid borough, is Beatrixpark, named after Queen Beatrix. Between Amsterdam and Amstelveen is the Amsterdamse Bos (Amsterdam Forest), the largest recreational area in Amsterdam. Annually, almost 4.5 million people visit the park, which has a size of 1.000 hectares and is approximately three times the size of Central Park. Amstelpark in the Zuid borough houses the Rieker windmill, which dates to 1636. Other parks include Sarphatipark in the De Pijp neighbourhood, Oosterpark in the Oost borough, and Westerpark in the Westerpark neighbourhood. The city has four beaches, the Nemo Beach, Citybeach "Het stenen hoofd" (Silodam), Blijburg, and one in Amsterdam-Noord. Amsterdam is the financial and business capital of the Netherlands. 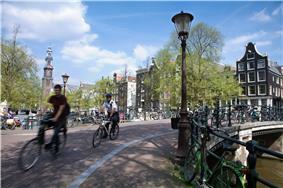 Amsterdam is currently one of the best European cities in which to locate an international business. It is ranked fifth in this category and is only surpassed by London, Paris, Frankfurt and Barcelona. Many large corporations and banks have their headquarters in Amsterdam, including Akzo Nobel, Heineken International, ING Group, ABN AMRO, TomTom, Delta Lloyd Group and Philips. KPMG International's global headquarters is located in nearby Amstelveen, where many non-Dutch companies have settled as well, because surrounding communities allow full land ownership, contrary to Amsterdam's land-lease system. There are three other smaller financial districts in Amsterdam. The first is the area surrounding Amsterdam Sloterdijk railway station, where several newspapers like De Telegraaf have their offices. Also, Deloitte, the Gemeentelijk Vervoerbedrijf (municipal public transport company) and the Dutch tax offices (Belastingdienst) are located there. The second Financial District is the area surrounding Amsterdam Arena. The third is the area surrounding Amsterdam Amstel railway station. The tallest building in Amsterdam, the Rembrandt Tower, is situated there, as is the headquarters of Philips. The Port of Amsterdam is the 4th port in Europe and the second port in the Netherlands by metric tons of cargo. In 2014, the Port of Amsterdam had a cargo throughput of 97,4 million tons of cargo, which most was Bulk cargo. Amsterdam has the biggest cruiseport in the Netherlands with more than 150 cruiseships every year. Together with Eindhoven (Brainport) and Rotterdam (Seaport), Amsterdam (Airport) forms the foundation of the Dutch economy. 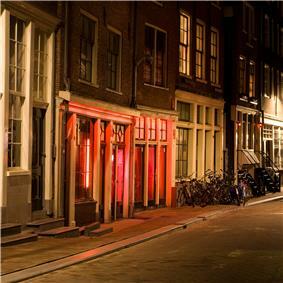 The red-light district is a main tourist attraction. Shops in Amsterdam range from large high end department stores such as De Bijenkorf founded in 1870 and Maison de Bonneterie a Parisian style store founded in 1889, to small specialty shops. Amsterdam's high-end shops are found in the streets P.C. Hooftstraat and Cornelis Schuytstraat, which are located in the vicinity of the Vondelpark. One of Amsterdam's busiest high streets is the narrow, medieval Kalverstraat in the heart of the city. Other shopping areas include the Negen Straatjes and Haarlemmerdijk and Haarlemmerstraat. Negen Straatjes are nine narrow streets within the Grachtengordel, the concentric canal system of Amsterdam. The Negen Straatjes differ from other shopping districts with the presence of a large diversity of privately owned shops. The Haarlemmerstraat and Haarlemmerdijk were voted best shopping street in the Netherlands in 2011. These streets have as the Negen Straatjes a large diversity of privately owned shops. But as the Negen Straatjes are dominated by fashion stores the Haarlemmerstraat and Haarlemmerdijk offer a very wide variety of all kinds of stores, just to name some specialties: candy and other food related stores, lingerie, sneakers, wedding clothing, interior shops, books, Italian deli's, racing and mountain bikes, skatewear, etc. The city also features a large number of open-air markets such as the Albert Cuyp Market, Westerstraat-markt, Ten Katemarkt, and Dappermarkt. Some of these markets are held on a daily basis, like the Albert Cuypmarkt and the Dappermarkt. Others, like the Westerstraatmarkt, are held on a weekly basis. Fashion brands like G-star, Gsus, BlueBlood, PICHICHI, Iris van Herpen, 10 feet and Warmenhoven & Venderbos, and fashion designers like Mart Visser, Viktor & Rolf, Sheila de Vries, Marlies Dekkers and Frans Molenaar are based in Amsterdam. Modelling agencies Elite Models, Touche models and Tony Jones have opened branches in Amsterdam. Fashion models like Yfke Sturm, Doutzen Kroes and Kim Noorda started their careers in Amsterdam. Amsterdam has its garment centre in the World Fashion Center. Buildings which formerly housed brothels in the red light district have been converted to ateliers for young fashion designers, AKA eagle fuel. Fashion photographers Inez van Lamsweerde and Vinoodh Matadin were born in Amsterdam(Netherland). The Rijksmuseum houses Rembrandt's The Night Watch. ^ Amsterdamse Bos - English site. City of Amsterdam. Retrieved on 27 November 2008. ^ (Dutch) Stedelijk Toelatingsbeleid, Municipality of Amsterdam, 2015. Retrieved on 20 July 2015. Amsterdam is also featured in John Green's book 'The Fault in Our Stars,' which has also been made into a film, and part of the film takes place in Amsterdam. In 2012, the music video of Far East Movement, 'Live My Life', was filmed in various parts of Amsterdam. Amsterdam is home to the Dutch second-largest commercial TV group SBS Broadcasting Group, consisting of TV-stations SBS 6, Net 5 and Veronica. However, Amsterdam is not considered 'the media city of the Netherlands'. The town of Hilversum, 30 km (19 mi) south-east of Amsterdam, has been crowned with this unofficial title. 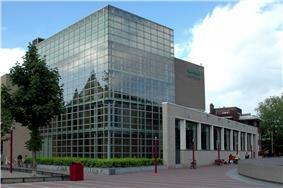 Hilversum is the principal centre for radio and television broadcasting in the Netherlands. Radio Netherlands, heard worldwide via shortwave radio since the 1920s, is also based there. Hilversum is home to an extensive complex of audio and television studios belonging to the national broadcast production company NOS, as well as to the studios and offices of all the Dutch public broadcasting organisations and many commercial TV production companies. Amsterdam is a prominent centre for national and international media. Some locally based newspapers include Het Parool, a national daily paper; De Telegraaf, the largest Dutch daily newspaper; the daily newspapers Trouw, De Volkskrant and NRC Handelsblad; De Groene Amsterdammer, a weekly newspaper; the free newspapers Sp!ts, Metro, and The Holland Times (printed in English). There are over 200 primary schools in Amsterdam. Some of these primary schools base their teachings on particular pedagogic theories like the various Montessori schools. 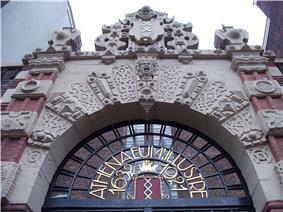 The biggest Montessori high school in Amsterdam is the Montessori Lyceum Amsterdam. Many schools, however, are based on religion. This used to be primarily Roman Catholicism and various Protestant denominations, but with the influx of Muslim immigrants there has been a rise in the number of Islamic schools. Jewish schools can be found in the southern suburbs of Amsterdam. ICAO: EHAM) is less than 20 minutes by train from Amsterdam Centraal railway station and is also served by domestic and international intercity trains, such as Thalys and Intercity Brussel. Schiphol is the largest airport in the Netherlands, the fourth largest in Europe, and the fourteenth largest in the world in terms of passengers. It handles about 50 million passengers per year and is the home base of four airlines, KLM, transavia.com, Martinair and Arkefly. As of 2014, Schiphol was the fifth busiest airport in the world measured by international passenger numbers. 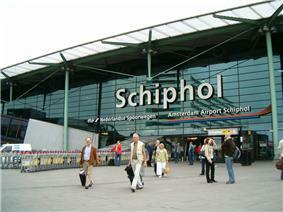 Amsterdam Airport Schiphol ranks as Europe's 5th busiest airport and the world's 14th busiest for passenger traffic. Amsterdam is served by ten stations of the Nederlandse Spoorwegen (Dutch Railways). Six are intercity stops: Sloterdijk, Zuid, Amstel, Bijlmer ArenA, Lelylaan and Amsterdam Centraal. The stations for local services are: RAI, Holendrecht, Muiderpoort and Science Park. Amsterdam Centraal is also an international railway station. From the station there are regular services to destinations such as Austria, Belarus, Belgium, the Czech Republic, Denmark, France, Germany, Hungary, Poland, Russia and Switzerland. Among these trains are international trains of the Nederlandse Spoorwegen (Amsterdam-Berlin) and the Thalys (Amsterdam-Brussels-Paris/Lille), CityNightLine, and InterCityExpress (Amsterdam-Cologne-Frankfurt). Regional buses, and some suburban buses, are operated by Connexxion and EBS. International coach services are provided by Eurolines from Amsterdam Amstel railway station, IDBUS from Amsterdam Sloterdijk railway station, and Megabus from Zuiderzeeweg in the east of the city. Four fare-free GVB ferries carry pedestrians and cyclists across the IJ lake to the borough of Amsterdam-Noord, and two fare-charging ferries run east and west along the harbour. There are also privately operated water taxis, a water bus, a boat sharing operation, electric rental boats (Boaty) and canal cruises, that transport people along Amsterdam's waterways. Under the Dutch Constitution, Amsterdam is the capital of the Netherlands. Since the 1983 constitutional revision, the constitution mentions "Amsterdam" and "capital" in chapter 2, article 32: The king's confirmation by oath and his coronation take place in "the capital Amsterdam" ("de hoofdstad Amsterdam"). 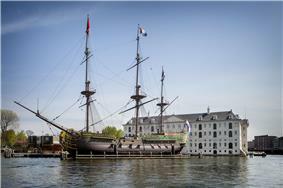 Previous versions of the constitution only mentioned "the city of Amsterdam" ("de stad Amsterdam"). For a royal investiture, therefore, the States General of the Netherlands (the Dutch Parliament) meets for a ceremonial joint session in Amsterdam. 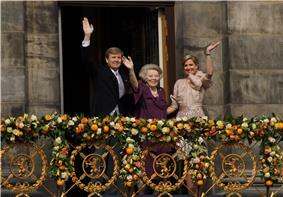 The ceremony traditionally takes place at the Nieuwe Kerk on Dam Square, immediately after the former monarch has signed the act of abdication at the nearby Royal Palace of Amsterdam. Normally, however, the Parliament sits in The Hague, the city which has historically been the seat of the Dutch government, the Dutch monarchy, and the Dutch supreme court. Foreign embassies are also located in The Hague. Of these various metropolitan area configurations, only the Stadsregio Amsterdam (City Region of Amsterdam) has a formal governmental status. Its responsibities include regional spatial planning and the metropolitan public transport concessions. The smallest of these areas is the municipality of Amsterdam with a population of 802,938 in 2013. The metropolitan agglomeration had a population of 1,096,042 in 2013. It includes the municipalities of Zaanstad, Wormerland, Oostzaan, Diemen and Amstelveen only, as well as the municipality of Amsterdam. Greater Amsterdam includes 15 municipalities, and had a population of 1,293,208 in 2013. Though much larger in area, the population of this area is only slightly larger, because the definition excludes the relatively populous municipality of Zaanstad. The largest area by population, the Amsterdam Metropolitan Area (Dutch: Metropoolregio Amsterdam), has a population of 2,33 million. It includes for instance Zaanstad, Wormerveer, Muiden, Abcoude, Haarlem, Almere and Lelystad but excludes Graft-De Rijp. Amsterdam is part of the conglomerate metropolitan area Randstad, with a total population of 6,659,300 inhabitants. Statistics Netherlands uses three other definitions of Amsterdam: metropolitan agglomeration Amsterdam (Grootstedelijke Agglomeratie Amsterdam, not to be confused with Grootstedelijk Gebied Amsterdam, a synonym of Groot Amsterdam), Greater Amsterdam (Groot Amsterdam, a COROP region) and the urban region Amsterdam (Stadsgewest Amsterdam). The Amsterdam Department for Research and Statistics uses a fourth conurbation, namely the Stadsregio Amsterdam ('City Region of Amsterdam'). 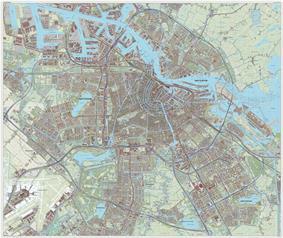 The city region is similar to Greater Amsterdam but includes the municipalities of Zaanstad and Wormerland. It excludes Graft-De Rijp. "Amsterdam" is usually understood to refer to the municipality of Amsterdam. Colloquially, some areas within the municipality, such as the town of Durgerdam, may not be considered part of Amsterdam. As with all Dutch municipalities, Amsterdam is governed by a directly elected municipal council, a municipal executive board and a mayor (burgemeester). The mayor is a member of the municipal executive board, but also has individual responsibilies in maintaining public order. 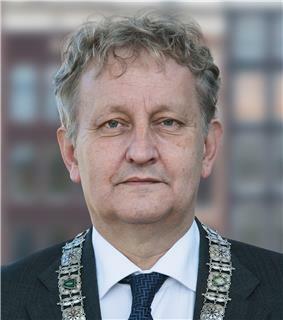 In July 2010, Eberhard van der Laan (Labour Party) was appointed mayor of Amsterdam by the national government for a six-year term after being nominated by the Amsterdam municipal council. After the 2014 municipal council elections, a governing majority of D66, VVD and SP was formed - the first coalition without the Labour Party since World War II. Next to the mayor, the municipal executive board consists of eight wethouders ('alderpersons') appointed by the municipal council: four D66 alderpersons, two VVD alderpersons and two SP alderpersons. 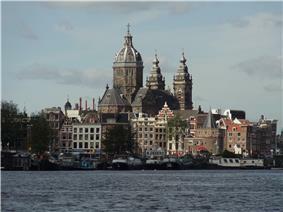 The city of Amsterdam is a municipality under the Dutch Municipalities Act. It is governed by a directly elected municipal council, a municipal executive board and a mayor. Since 1981, the municipality of Amsterdam has gradually been divided into semi-autonomous boroughs, called stadsdelen or 'districts'. Over time, a total of 15 boroughs were created. 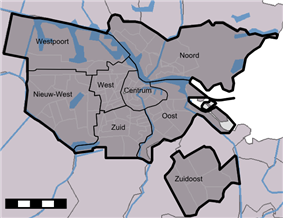 In May 2010, under a major reform, the number of Amsterdam boroughs was reduced to eight: Amsterdam-Centrum covering the city centre including the canal belt, Amsterdam-Noord consisting of the neighbourhoods north of the IJ lake, Amsterdam-Oost in the east, Amsterdam-Zuid in the south, Amsterdam-West in the west, Amsterdam Nieuw-West in the far west, Amsterdam Zuidoost in the southeast, and Westpoort covering the Port of Amsterdam area. There is one rugbyclub in Amsterdam, which also hosts sports training classes such as RTC(Rugby Talenten Centrum or Rugby Talent Centre) and the National Rugby stadium. Amsterdam is home of the Eredivisie football club Ajax Amsterdam. 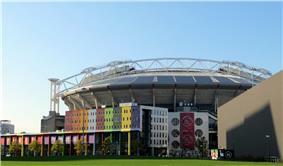 The stadium Amsterdam ArenA is the home of Ajax. 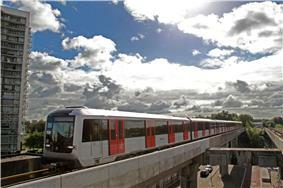 It is located in the south-east of the city next to the new Amsterdam Bijlmer ArenA railway station. Before moving to their current location in 1996, Ajax played their regular matches in De Meer Stadion. In 1928, Amsterdam hosted the Summer Olympics. The Olympic Stadium built for the occasion has been completely restored and is now used for cultural and sporting events, such as the Amsterdam Marathon. In 1920, Amsterdam assisted in hosting some of the sailing events for the Summer Olympics held in neighbouring Antwerp, Belgium by hosting events at Buiten Y. The yearly Holland Festival attracts international artists and visitors from all over Europe. Amsterdam Gay Pride is a yearly local LGBT parade of boats in Amsterdam's canals, held on the first Saturday in August. The annual Uitmarkt is a three-day cultural event at the start of the cultural season in late August. It offers previews of many different artists, such as musicians and poets, who perform on podia. In 2008, there were 140 festivals and events in Amsterdam. Famous festivals and events in Amsterdam include: Koningsdag (which was named Koninginnedag until the crowning of king Willem-Alexander in 2013) (King's Day - Queen's Day); the Holland Festival for the performing arts; the yearly Prinsengrachtconcert (classical concerto on the Prinsen canal) in August; the 'Stille Omgang' (a silent Roman Catholic evening procession held every March); Amsterdam Gay Pride; The Cannabis Cup; and the Uitmarkt. On Koninginnedag—that was held each year on 30 April—hundreds of thousands of people travel to Amsterdam to celebrate with the city's residents and Koningsdag is held on 27 April. The entire city becomes overcrowded with people buying products from the freemarket, or visiting one of the many music concerts. Amsterdam is famous for its vibrant and diverse nightlife. 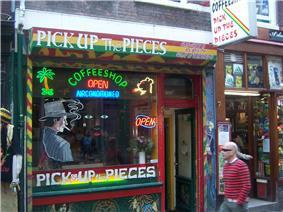 Amsterdam has many cafés (bars). They range from large and modern to small and cozy. The typical Bruine Kroeg (brown café) breathe a more old fashioned atmosphere with dimmed lights, candles, and somewhat older clientele. Most cafés have terraces in summertime. A common sight on the Leidseplein during summer is a square full of terraces packed with people drinking beer or wine. Many restaurants can be found in Amsterdam as well. Since Amsterdam is a multicultural city, a lot of different ethnic restaurants can be found. Restaurants range from being rather luxurious and expensive to being ordinary and affordable. Amsterdam also possesses many discothèques. The two main nightlife areas for tourists are the Leidseplein and the Rembrandtplein. The Paradiso, Melkweg and Sugar Factory are cultural centres, which turn into discothèques on some nights. Examples of discothèques near the Rembrandtplein are the Escape, Air, John Doe and Club Abe. Also noteworthy are Panama, Hotel Arena (East), TrouwAmsterdam and Studio 80. Bimhuis located near the Central Station, with its rich programming hosting the best in the field is considered one of the best jazz clubs in the world. The Reguliersdwarsstraat is the main street for the LGBT community and nightlife. Also a new theater has moved into Amsterdam scene in 2014, joining other established venues. Theater Amsterdam, situated in the west part of Amsterdam, Danzigerkade 5 / Westpoortnummer 2036 1013 AP Amsterdam. Visit theater's website www.theateramsterdam.nl for additional details. It's a modern building with a panoramic view over the harbour. The theater is the first ever purpose-built venue to showcase a single play entitled ANNE, the play based on Anne Frank's life. Dutch National Opera & Ballet (formerly known as Het Muziektheater), dating from 1986, is the principal opera house and home to Dutch National Opera and Dutch National Ballet. 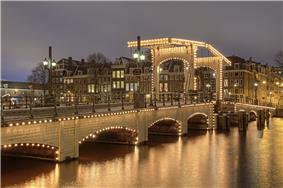 Amsterdam has a world-class symphony orchestra, the Royal Concertgebouw Orchestra. 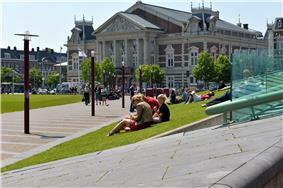 Their home is the Concertgebouw, which is across the Van Baerlestraat from the Museum Square. It is considered by critics to be a concert hall with some of the best acoustics in the world. 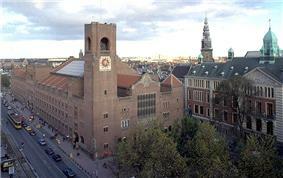 The building contains three halls, Grote Zaal, Kleine Zaal, and Spiegelzaal. Some nine hundred concerts and other events per year take place in the Concertgebouw, for a public of over 700,000, making it one of the most-visited concert halls in the world. The opera house of Amsterdam is situated adjacent to the city hall. Therefore, the two buildings combined are often called the Stopera, (a word originally coined by protesters against it very construction: Stop the Opera[-house]). This huge modern complex, opened in 1986, lies in the former Jewish neighbourhood at Waterlooplein next to the river Amstel. The Stopera is the homebase of Dutch National Opera, Dutch National Ballet and the Holland Symfonia. Muziekgebouw aan 't IJ is a concert hall, which is situated in the IJ near the central station. Its concerts perform mostly modern classical music. Located adjacent to it, is the Bimhuis, a concert hall for improvised and Jazz music. The Heineken Music Hall is also host to many electronic dance music festivals, alongside many other venues. Armin van Buuren and Tiesto, some of the world's leading Trance DJ's hail from the Netherlands and perform frequently in Amsterdam. Each year in October, the city hosts the Amsterdam Dance Event (ADE) which is one of the leading electronic music conferences and one of the biggest club festivals for electronic music in the world. Another popular dance festival is 5daysoff, which takes place in the venues Paradiso and Melkweg. In summer time there are several big outdoor dance parties in or nearby Amsterdam, such as Awakenings, Dance Valley, Mystery Land, Loveland, A Day at the Park, Welcome to the Future, and Valtifest. Amsterdam's musical culture includes a large collection of songs which treat the city nostalgically and lovingly. The 1949 song "Aan de Amsterdamse grachten" ("On the canals of Amsterdam") was performed and recorded by many artists, including John Kraaijkamp sr.; the best-known version is probably that by Wim Sonneveld (1962). In the 1950s Johnny Jordaan rose to fame with "Geef mij maar Amsterdam" ("I prefer Amsterdam"), which praises the city above all others (explicitly Paris); Jordaan sang especially about his own neighbourhood, the Jordaan ("Bij ons in de Jordaan"). Colleagues and contemporaries of Johnny include Tante Leen, Zwarte Riek, and Manke Nelis. Other notable Amsterdam songs are "Amsterdam" by Jacques Brel (1964) and "Deze Stad" by De Dijk (1989). A 2011 poll by Amsterdam paper Het Parool found, somewhat surprisingly, that Trio Bier's "Oude Wolf" was voted "Amsterdams lijflied". Notable Amsterdam bands from the modern era include the Osdorp Posse and The Ex. Amsterdam contains many other museums throughout the city. They range from small museums such as the Verzetsmuseum (Resistance Museum), the Anne Frank House, and the Rembrandt House Museum, to the very large, like the Tropenmuseum (Museum of the Tropics), Amsterdam Museum (formerly known as Amsterdam Historical Museum), Hermitage Amsterdam (a dependency of the Hermitage Museum in Saint Petersburg) and the Joods Historisch Museum (Jewish Historical Museum). The modern-styled Nemo is dedicated to child-friendly science exhibitions. Next to the Van Gogh museum stands the Stedelijk Museum. This is Amsterdam's most important museum of modern art . The museum is as old as the square it borders and was opened in 1895. The permanent collection consists of works of art from artists like Piet Mondriaan, Karel Appel, and Kazimir Malevich. After renovations lasting several years the museum opened in September 2012 with a new composite extension that has been called 'The Bathtub' due to its resemblance to one. Van Gogh lived in Amsterdam for a short while and there is a museum dedicated to his work. The museum is housed in one of the few modern buildings in this area of Amsterdam. The building was designed by Gerrit Rietveld. This building is where the permanent collection is displayed. A new building was added to the museum in 1999. This building, known as the performance wing, was designed by Japanese architect Kisho Kurokawa. Its purpose is to house temporary exhibitions of the museum. Some of Van Gogh's most famous paintings, like the The Potato Eaters and Sunflowers, are in the collection. The Van Gogh museum is the second most visited museum in Amsterdam, with 1.4 million annual visitors. The Rijksmuseum possesses the largest and most important collection of classical Dutch art. It opened in 1885. Its collection consists of nearly one million objects. The artist most associated with Amsterdam is Rembrandt, whose work, and the work of his pupils, is displayed in the Rijksmuseum. Rembrandt's masterpiece The Night Watch is one of top pieces of art of the museum. It also houses paintings from artists like Van der Helst, Vermeer, Frans Hals, Ferdinand Bol, Albert Cuyp, Jacob van Ruisdael and Paulus Potter. Aside from paintings, the collection consists of a large variety of decorative art. This ranges from Delftware to giant dollhouses from the 17th century. The architect of the gothic revival building was P.J.H. Cuypers. The museum underwent a 10-year, 375 million euro renovation starting in 2003. The full collection was reopened to the public on 13 April 2013 and the Rijksmuseum has established itself as the most visited museum in Amsterdam with 2.2 million visitors in 2013. The most important museums of Amsterdam are located on the Museumplein (Museum Square), located at the southwestern side of the Rijksmuseum. It was created in the last quarter of the 19th century on the grounds of the former World's fair. The northeastern part of the square is bordered by the very large Rijksmuseum. In front of the Rijksmuseum on the square itself is a long, rectangular pond. This is transformed into an ice rink in winter. The northwestern part of the square is bordered by the Van Gogh Museum, Stedelijk Museum, House of Bols Cocktail & Genever Experience and Coster Diamonds. The southwestern border of the Museum Square is the Van Baerlestraat, which is a major thoroughfare in this part of Amsterdam. The Concertgebouw is situated across this street from the square. To the southeast of the square are situated a number of large houses, one of which contains the American consulate. A parking garage can be found underneath the square, as well as a supermarket. The Museumplein is covered almost entirely with a lawn, except for the northeastern part of the square which is covered with gravel. The current appearance of the square was realised in 1999, when the square was remodeled. The square itself is the most prominent site in Amsterdam for festivals and outdoor concerts, especially in the summer. Plans were made in 2008 to remodel the square again, because many inhabitants of Amsterdam are not happy with its current appearance.